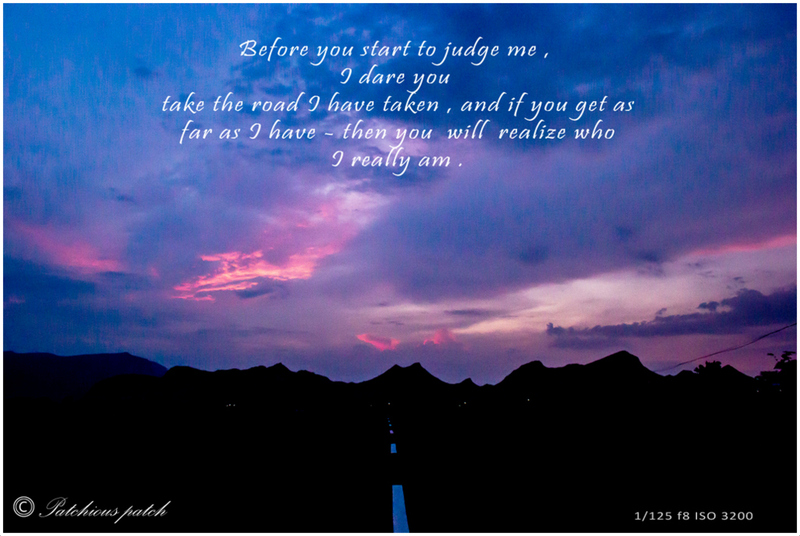 To all those who say they know me….. I recently had the experience of being told , how some people perceive me . Though it was hurtful to hear all the negatives , but then best thing I realized , was all those naysayers wouldn’t last a minute ,with all the things I am being put through – there are no mistakes in life only experiences . I am still here .